George Clooney Hunting "The Monster of Florence"
George Clooney will soon be taking the A1 highway from his vacation home above Lake Como, some 200 miles southeast to Florence in quest of a serial killer. 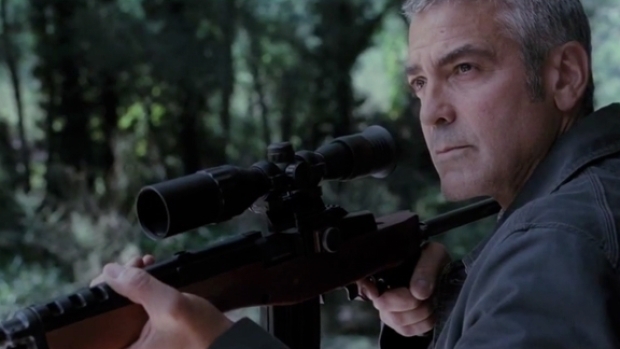 Clooney has signed on to star in "The Monster of Florence," reported Deadline. Clooney will play Douglas Preston, the writer of the book of the same name, about his time in the early '00s on the trail of a man who, from 1968 to 1985, murdered seven couples who were sitting their cars parked outside Florence. "Il Monstro," as the locals called him, served as one of the inspirations for Hannibal Lechter. Preston joined forces with journalist Mario Spezi, who had covered The Monster of Florence murders, to see what clues they could unearth. Needless to say, the local police, who had attributed the case to a mysterious Satanic cult, were none too pleased. The book is being adapted by Chris McQuarrie, who has to return to the heights he achieved with "The Usual Suspects" in 1995. Clooney is currently starring in and directing the political thriller "The Ides of March," starring Ryan Gosling, and will also be starring opposite Sandra Bullock in Alfonso Cuaron's "Gravity."